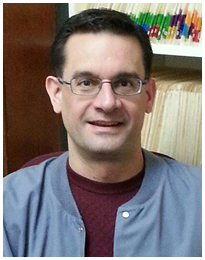 Jersey City Heights Family Dentist - Dr. Robert A Borowicz D.M.D. Dr. Robert A. Borowicz, D.M.D. One of the most important factors to a healthy body is good oral hygiene. Healthy teeth and gums play a vital role in your overall health. Poor oral hygiene may not only lead to tooth decay and gum disease, but may indicate other serious underlying medical conditions, which may include cardiovascular disease or diabetes. Here at the Jersey City Heights, NJ Dental Office of Robert A. Borowicz D.M.D., we understand the importance of good oral hygiene, and we want to help you maintain a healthy mouth. We offer a range of services some of which include: oral exams, routine cleanings, digital X-rays, white fillings, crowns, restoring dental implants, dentures, root canals, extractions, and whitening. 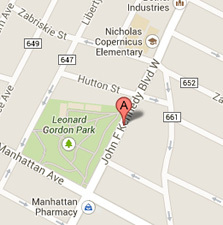 We’re based in Jersey City Heights, conveniently located on Kennedy Boulevard, just a short drive for residents in any part of Jersey City, Weehawken or Union City. SPAM Quiz: Please Answer: 2+3=?